The Vatican has confirmed a second hack on its systems by the Anonymous activist group. A Vatican spokesman on Tuesday downplayed the impact of the hack on the Vatican Radio database, saying the hackers had gained access to an old server “shortly after 2pm” on Monday. 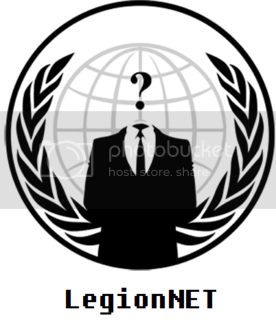 Anonymous claimed to have hacked Vatican Radio in protest against the Vatican Radio allegedly using “repeaters with power transmission largely outside the bounds of the law” in a Pastebin post on Monday. AnonOps Communications, a recognised mouthpiece of the hacktivist collective, published a link to the Pastebin post on Tuesday. Comments on the post called for alleged LulzSec members arrested last week by the FBI and international law enforcement to be freed. “Almost any protest which bares the request ‘free the LulzSec team’ is a honourable cause [sic],” said the comment. Anonymous first took down the Vatican website last Wednesday, in protest against the Roman Catholic Church, which Anonymous accused of actions including the molestation of children by priests. The first successful Vatican hack was made a day after the LulzSec arrests which saw prominent LulzSec hacker ‘Sabu’ — Hector Xavier Monsegur — exposed as an FBI informant. The AnonymousIRC Twitter channel said on Tuesday that the FBI had done Anonymous “a favour” by arresting Sabu. 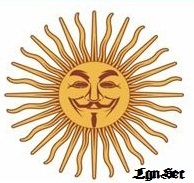 LulzSec and Anonymous appear to have continued operations since the arrests. On Friday, Anonymous released Norton Antivirus 2006 source code, which the collective had threatened to do in February, after the release of Symantec PCAnywhere source code. The source code was stolen in 2006, according to Symantec. The source code was released to the Pirate Bay file-sharing site, with a quote attributed to Jeremy Hammond, one of the alleged LulzSec hackers arrested the FBI last week. Hammond is alleged to be the hacker ‘sup_g’. Symantec downplayed the release of the code on Friday, but confirmed the code was bona fide. The code was “so old that current out-of-the-box security settings will suffice against any possible threats that might materialize as a result of this incident”, said Symantec, which added that it expected Anonymous to release source code for 2006 versions of Norton Internet Security.